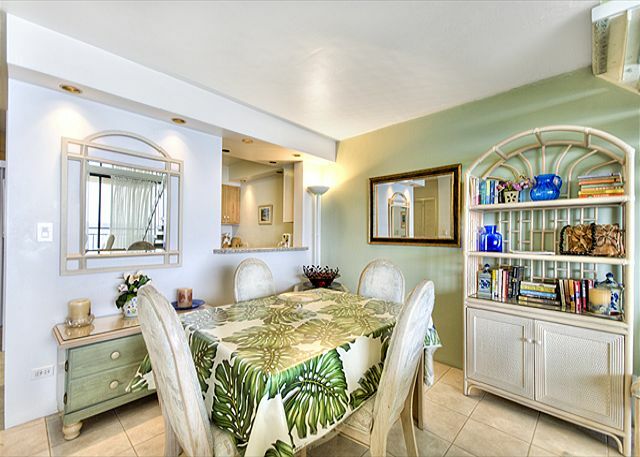 This 2 bedroom 2 bath at Kona Alii is a penthouse unit. Fully equiped to also include a sun deck! Star gaze or get a serious tan! The Ocean Front Lanai looks over the sea wall in down town Kailua Kona. Unit has a full kitchen. Both bedrooms have Queen size beds. You will have to see the views to believe them! 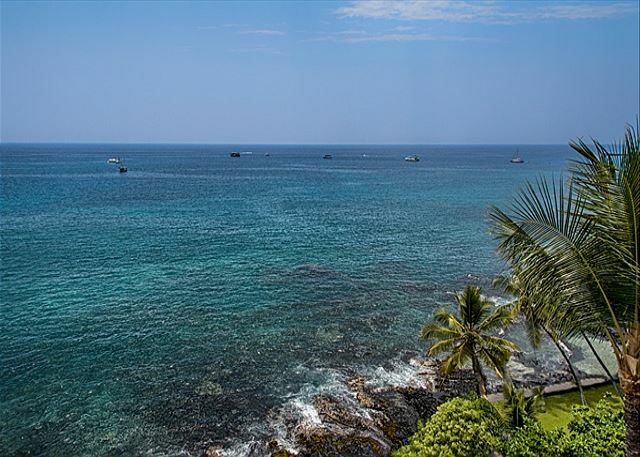 The Condo is located on the top floor of the Kona Aliii which is in the heart of Kona. The location is and building are fantastic. You can get to everything. This is a very generous 2 bed/2 bath unit that is well laid out and appointed. The owners provided all manner of starter items and it was great. Working with the rental company was also very easy too. Would highly recommend this unit and location for any renter. Everything worked great too. We thank you for your review and would love to see you again next year! Great location but property could use "refreshing." I arrived late in the evening, and on initial arrival, I was completely surprised to find that this condo had no air conditioning...which was not noted in the amenities. There were also pictures on the website that were misleading. The curtains are filthy and the entire condo could do with a fresh cost of paint. If not for the location and some "mental" adjustments on my part to the situation, I would rate this property one star. Aloha and thank you for your review. This unit is not equipped with AC, similar to many of the others in the complex. We apologize for any disappointment, as we only advertise the amenities are included; we hope that the fan and other items we delivered assisted in your comfort during your visit. We have removed the photos of the adjacent tennis court, which is part of a public part that was not open during your visit. Thank you for your feedback. 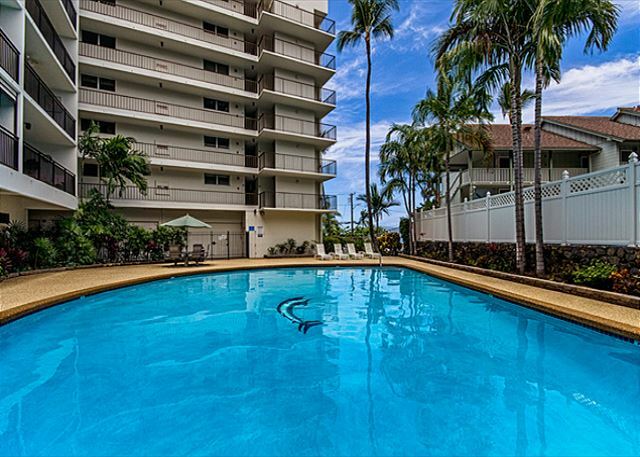 This condo is perched on the top of one of Kona's tallest buildings and allows for the bird's-eye-view of Kailua village, which is why it is one of our "customer favorites." However, we are aware that there is room for upgrades and improvements. We are working with the owner to make some positive changes to the unit. In the meantime, we appreciate your recommendations and will certainly take them into consideration with any changes made to this condo. Aloha and thank you for taking the time to leave us a review. We are happy you enjoyed your visit. Please let us know when you return and we would be happy to offer a 10% discount for your next reservation. Aloha and thank you for your review! Please come visit again. Remember, as a returning guest you are eligible for a 10% discount on your next renter booked through Boundless Hawaii directly. Thoroughly enjoyed our stay. Watched dolphins in the bay from the lanai, slept to the sound of the surf at night. Nice pool. 5 minute walk to the farmers market for fruit and veggies, 5 minute stroll the other direction to the ABC store for a bit of everything else. Restaurants up and down Ali'i. But with all the conveniences it is the view that will bring us back. The condo was almost perfect.. A little warm a couple of days, but still a 5 star value. A great setup for 2 couples, or a family with older children. The facility was immaculate. Nice grill, excellent pool. And the best location.. Walk to all downtown attractions. Would be glad to recommend. Excellent unit, but needs upgrades. 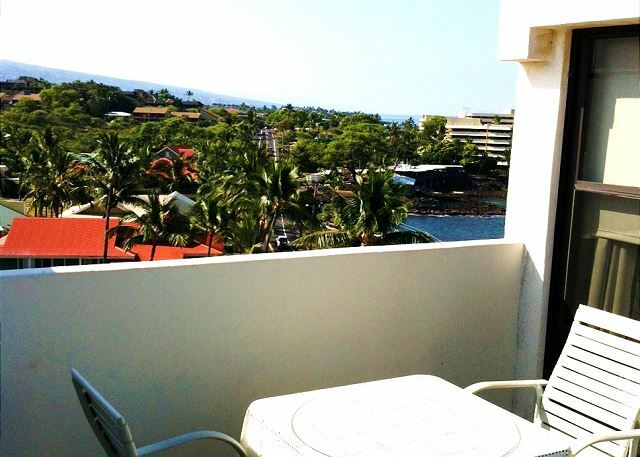 We had a fabulous Penthouse Apartment on the top floor of the Kona Alii Condos. Loved the place and the view was amazing. Very clean with wonderful decor. Would definitely stay there again. Perfect spot in Kona. This place is great. Top floor with a large open loft. 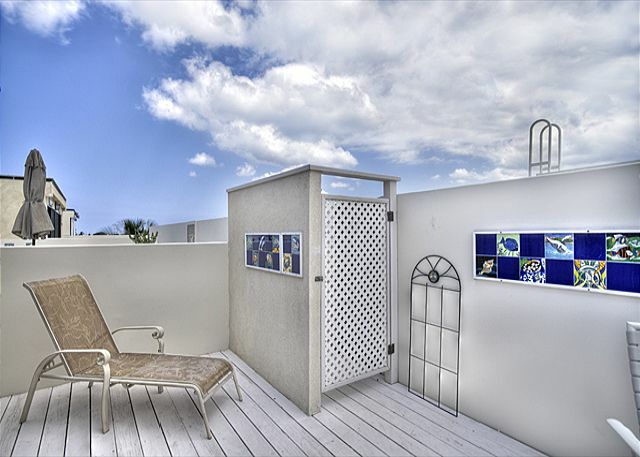 Great view from the lanai and the large sun deck from the loft. If you like the sound of the ocean, great views, great location, clean, well equipped then this is the place. The only downside was the toilet in the second floor bath, you have to count to 15 foot it to flush but at least I can count tom15 without even thinking about it LOL. No complaints, would stay here again without a doubt. If you are are looking for a pool with sun you won't find it here but the sun deck makes up for it and the water in the pool ihas warm water going into it so it's a nice temp. Beautiful view, great location, comfortable accommodations. Loved the balcony...we used it a lot to watch the water, sunsets and visiting dolphins. Room was clean, excellent view, room had every thing any one could want for a comfortable stay. Well located to shops and restaurants. The unit has a beautiful uninterrupted view. The unit itself is old but good. It is well appointed. Great view - great location. 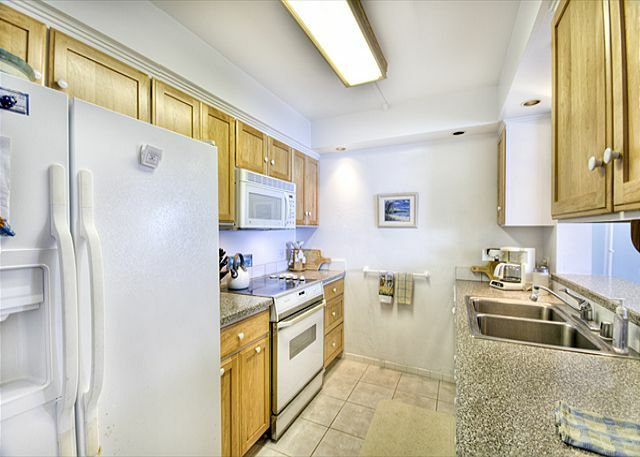 We like being in the action, and this condo is perfectly located. Yes, there is a little noise from music at bars and motorcycles, etc., but the overwhelming sound one hears in this condo is the surf - it's great. And the view is spectacular - second to none. OK, the style needs updating, but who cares? Just look out at that view. It was warm and humid while we were there, but Hawaiians don't do air conditioning and neither should you! 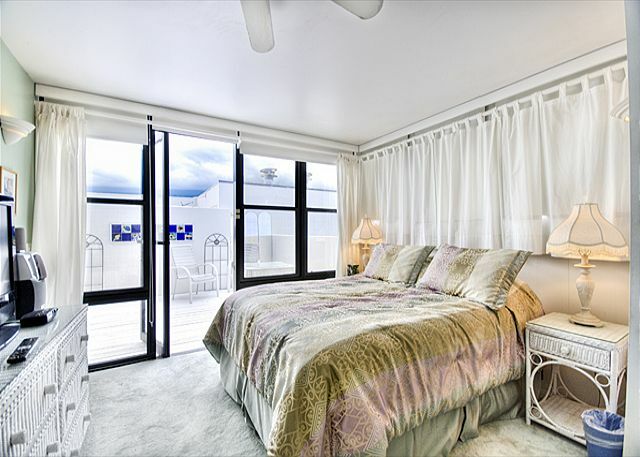 Just open the patio doors, feel the breeze and listen to the waves crashing onto shore. We have stayed in the Kona Alii 10 times in the last 13 years it is the best view and location in Kona. Great getaway place on the Big Island in the middle of Kona. WOW factor view and a perfect place in the middle of Kona. We loved it! We loved watching and listening to all activity and night life. Not the place for you if you are looking for a quiet secluded place. We enjoyed immensely. Don't rent a big car or truck the parking space is very tight and you have to back in. 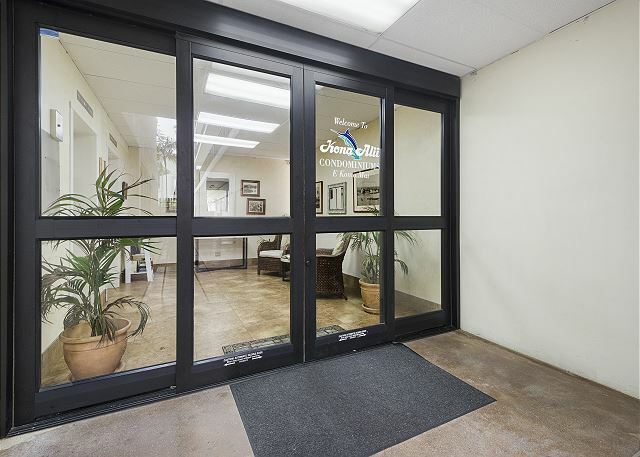 Awesome location in the heart of Kailua Village and great views! things like that. otherwise very clean. The only negative was the noise. Someone at the big hotel to the South (next to Hugos) beat a drum loudly every night until at least 2am. Alii Dr. directly in front of Kona Alii has pretty much a non-stop flow of LOUD (are there any other kind?) Harley Davidson motorcycles until around 11 pm daily. This condo needs updating. Painting. Carpet. There are way too many plates (40) and cups (20). Too many pots, pans and lids. Not enough coffee mugs. Who wants coffee from a china cup? I can't imagine a better location or better view! If you like to be in the hub of the action in Kona, this is the place. We've stayed there twice and I'm sure we will be back. The furniture could use an update but the condo is set-up perfectly and is very comfortable for even a long stay. We love this place - wish we owned it! PS - the kitchen faucet needs to be replaced. It leaks when the handled is lifted fully. great location, great view, good furniture and bedding. A bit noisy because of the music from Huggo's on the rock on some nights. We really like the upper bedroom as a 2nd bedroom. We were there for the HIBT fishing tournament. Perfect location! We had all of our meals on the spacious balcony that had an incredible view. I will stay there again next time I'm in Kailua. The rusted out racks in the dishwater need replacing. 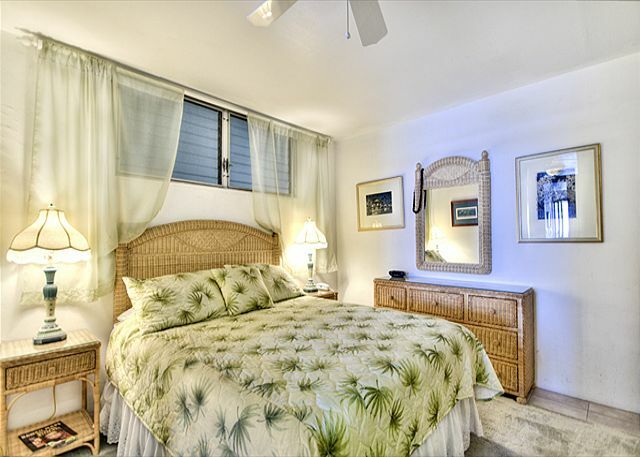 Property in excellent location with fantasic views; can walk to all locations in Kailua. Can pick up music from Lava Java next door during day and early evening, but does not disturb sleep. Vehicles on Ali'i drive no a problem as surf cancels out traffic noise. Should put counter height stools and table on the lanai to see over the railings. Kitchen clean and well equipped. The unit is in very good location, though the traffic maybe noisy sometimes. Well suitable for 4 people, very nice views. The property has large heated pool and a bbq area (which we did not use) We were very satisfied, except one thing. The dishwasher in unit 701 is not in good condition, and needs to be replaced. We can recommend this unit, and will probably be back in future. Although we have spent several vacations at the Kona Alii, this is the first time we have stayed on the 7th floor. We normally stay in 606. The facility is 40 years old and is starting to show its age. They are doing their best to maintain it but it appears to be a losing battle. We were satisfied with our accommodations in spite of the fact that there were some electrical problems which were not corrected. We would have liked to have wi-fi access in the room but for $10 we got a temporary library card and wi-fi access at the library which was only a 5 minute walk from the Kona Alii. As the realtors say,"The three most important features of a property are location, location, location". Same is true for the Kona Alii. I could have lived there. We will miss that Oceanfront Lanai the most! The sound of the ocean, the live music outside of Lava Java, the sunset, people watching on the street was perfect. The condo was fully stocked with everything we needed (towels, beach chairs, comfy beds, hair dryer, etc). The kitchen had everything we needed too. We didn't need to go out to eat. We had breakfast and dinner on the lanai. We also made use of the pool side grill a few times. The kids enjoyed swimming in the pool after a long day at the beach. The residents and long time renters in the bulding are all so friendly and made us feel so welcome too. You really can't get a better view, location and amentities for your money. We'll be back! Our unit was exceptionally well equipped, clean, nicely decoratd with a magnificent view. On week-ends, especially, it tended to be a bit noisy with the sound of motorbikes and alot of partying at the restaurant next door. It didn't both us too much and was only noticeable in the upper bedroom. Everyone we met was friendly and very nice to us, and we enjoyed the March Pot-Luck at poolside. The out-door market is only 1 1/2 blocks away, which is a great feature. We would stay there again on a return visit. The staff at Prince Properties were great to deal with. Thank you. the location was great for us, we had another couple and only 1 car so when one couple needed the car the other could spend the day walking around town. We had great entertainment each night from the restaurant next door that we enjoyed from the lanai. Best of all what a veiw. Only thing I would like to have had was blackout curtains for the living room, I know who whould shut out that view. All the people living in the building were all very nice and helpful, all and all I hope to enjoy Kona Alii 701 again soon. This condo was amazing. My wife and I stayed here on our honeymoon. The balcony was 20 feet from the ocean, and it was in the perfect location to walk to restaurants and shops. Two bedrooms can comfortably fit 4 people, but we had just two and it was still a bargain compared to other similar properties. Highly recommended! The only negative with the condo was the music from Alli Dr (till 2 am on the weekends). Had to close all the windows and sliding door and there is no air conditioning. The fans worked well, but missed the sounds of the ocean. 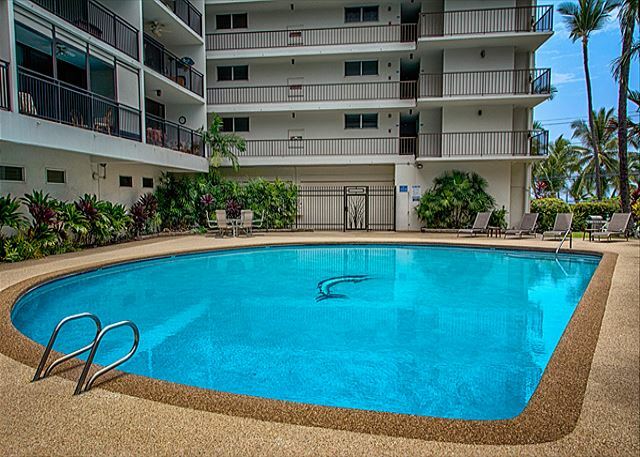 No need to drive when you stay at Kona Alii 701. 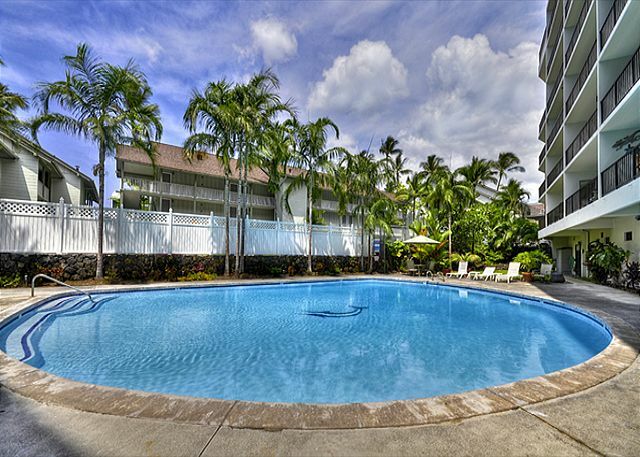 You are within walking distance of all that the main tourist section of Kailua-Kona has to offer. You will of course need a car when you go sight seeing outside the town. You are right in the midst of the restuarants/bars/shops/public market/etc., so during the daytime its not the quietest place I've ever stayed in/ but it quiets right down at night(and the wonderful sound of the ocean waves just across the street lulls you to sleep at night)This is not the place for honeymooners, but the more seasoned traveler should enjoy it. I have been staying at Kona Alii for over 20 years. The location is great. You can walk into town and the view.. .WOW!!! I have stayed in this unit before (when it was still a 1 bedroom). They have done a great job of turning the loft into a full second bedroom. I will definitely be back! TV in living room did not work. The lint trap in the dryer was LOADED with lint when i checked it before using. Water drained out of refrigerator from a clogged pipe for drainage. otherwise everything was great. The message aabove disappeared. The lint filter on dryer loaded.L.R. TV did not work. Water drained out of refrigerator periodically from clogged drain? The middle of the action. Great location and a wonderful view. Could even see the fish on the reef from the balcony. If you are looking for a spot in town for easy acess to all the Kona activities this is the place. Road noise and music from the local bars got a little old after awhile but was not bad. 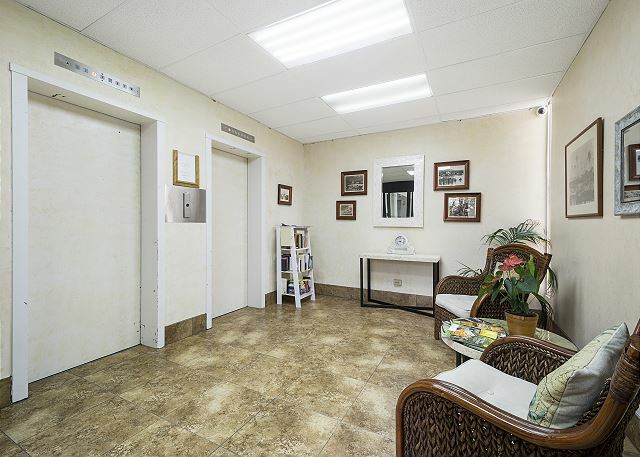 Perfect location, wonderful condo, beautifully decorated, secure building. If this one were for sale, we would have made an offer. Very nice stay right in Kona Town. Location is perfect for enjoying in-town activities. Just know that noise is part of the experience, even though you're seven floors up (traffic, resaurants, live entertainment, etc.). •Did not appreciate chain smoker in lower unit (unsure whether guest or resident). Could not enjoy sitting on lanai at times. •The unit is dated and could use some definite refreshing. View out the front is fantastic. • Had to follow up with management company to get reservation made. Brought up issue related to missing key to the unit which was still unresolved two weeks later when we left. Need work on follow through but very pleasant to deal with. •All in all, a very good experience and would recommend to anyone wanting an "in town" experience. The apartment is very cosy. it is perfect for a nice relaxing, holiday. The location is very good to explore the surroundings: beach, shops, cafes and restaurants and the market. We loved the view from the balcony and enjoyed the atmosphere & the buzz coming off the street. We loved our stay and the location was perfect. The only negative was that the garbage disposal did not work, which was just a small inconvenience. I would definitely rent this unit again. The location in downtown Kailua-Kona is GREAT. Close to dining, shopping and nightlife.Being on the top floor helped minimize the road noise and had great ocean and sunset views. We found the room generally clean but upstairs bathroom had room for improvement. The "Rooftop Lani" was a SUPERB marketing phrase but since it was located behind the room it provided no view, however, the main level Lani was very nice. The pool was clean but didn't open until 9:00am and was located away from ocean view. We had a short bout with a family of cockraoches, which we won and put up with a week of deck refinishing that took your breath away but never affected our living space. All in all this room had +'s and -'s like any other room might have but we enjoyed our stay which makes this a thumbs up experience. Mahalo! HAVE STAYED TWICE NOW, LOVE THE LOCATION AND VIEW. Great location and view. On Alii drive, which is in between you and the water. The condo could use some updates, but overall is pretty nice. Tons of shopping and restaurants within walking distance. 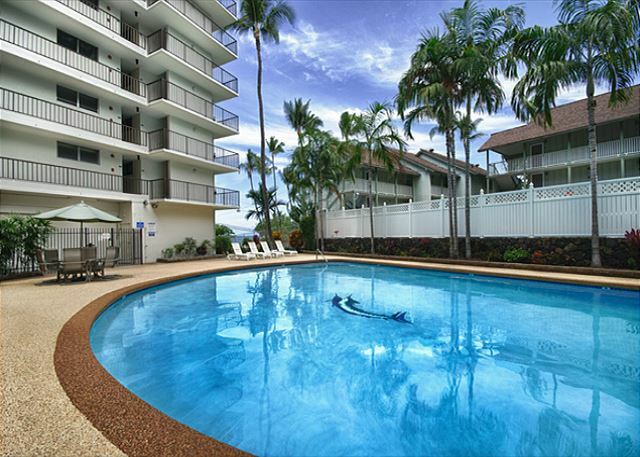 I stayed at 701 Kona Alii with my husband and another couple. We found the unit very comfortable, clean, and convenient. 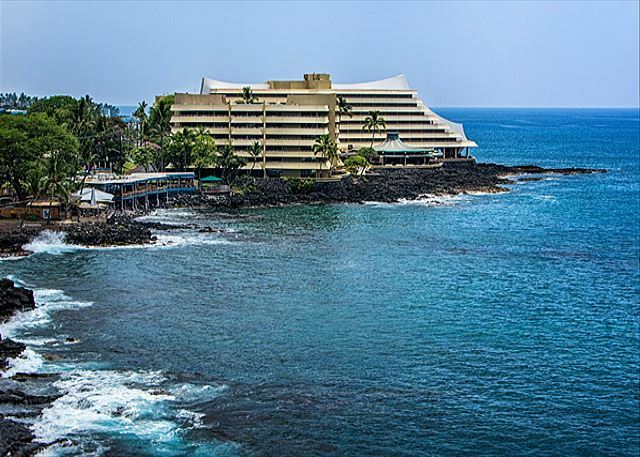 The location is perfect for exploring Kona, going to the market, enjoying the restaurants, and visiting the shops. The view from the lanai is spectacular! We enjoyed watching the activity on the water and on the street. We loved having breakfast on the lanai every morning and feeling the gentle tropical breezes. We were grateful to find boogie boards and beach towels for our use. The pool is nice, quiet and surrounded by gardens. We were so busy that we only used it once. We noticed that it didn't get a lot of sun. We wished the unit had wifi, but we could go to the yummy restaurant right next door and get internet access, so it wasn't much of an inconvenience. This unit is on the top floor, in the corner so there is a wrap around view. Also, by opening the windows in the loft bedroom the breeze was wonderful for sleeping. This is a great place! loved the location and the view, Susan was very helpful with handling our reservations--would stay in that building again and would recommend it. Only complaint, unit could use some new linens on the beds and towels in the upstairs bath. Across the street from the ocean. Can't beat the views! You can watch the dolphins swim by in the morning and you can even see the tropical fish along the rocky/lava shore below. 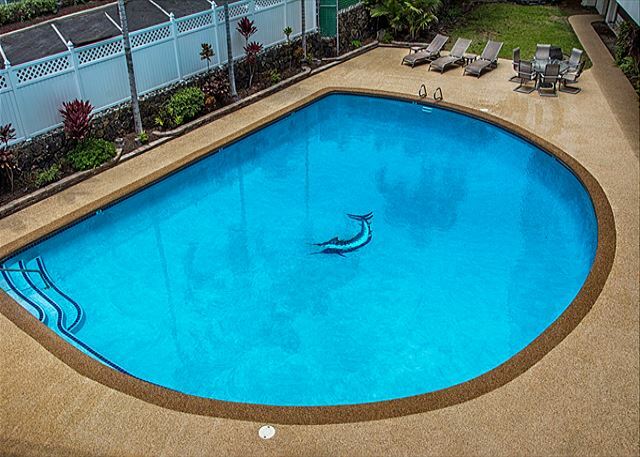 Condo is in downtown Kona which makes it an easy walk to swimming, snorkeling,restaurants, shopping, and the farmers' market ( to name a few). A couple items you may consider before renting this unit: it has a loft for one of the bedrooms and the water views come w/ the negative of being on the road so you can get road noise. However, the constant sound of the waves crashing into the shore acts as white noise and the town of Kona quiets early in the evening. Overall we had a fantastic 2 weeks here. The Kona section of the island is always guaranteed good weather and the pick of restaurants both in and off alii drive are good and reasonable especially when you compare w/ the more expensive kohala region.